This page is a guide to my party and event pages. Find useful ideas and information to help you put together a great party, event or wedding reception. Find what you need for photo booths, backdrops, table settings, party decorations, creative cakes and more through these pages filled with ideas, tips, instruction, photos and videos. Having a fun and memorable party is what we all hope for. There are things that you can do to make that task a little easier. I have a growing list of pages that will help you with your party planning. It is always fun to have pictures from your party to share with friends. Besides taking selfies, you can create a photo booth or backdrop that goes along with your party or event theme. 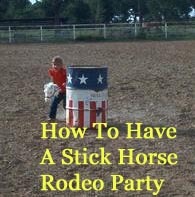 These tips and instructions can be used for any type of party or event. There are other DYI party decoration ideas and instructions for different party themes included in the themed pages.